Supply-chain sources speaking with Reuters reveal that Apple has set a high target for Apple Watch sales this year. The company plans to ship at least 20 million Apple Watch units in 2015. Another source says 26 million units. That number compares to the roughly 700,000 Android Wear devices shipped during calendar 2014 and the Strategy Analytics estimate of 15 million Apple Watch sales in 2015. 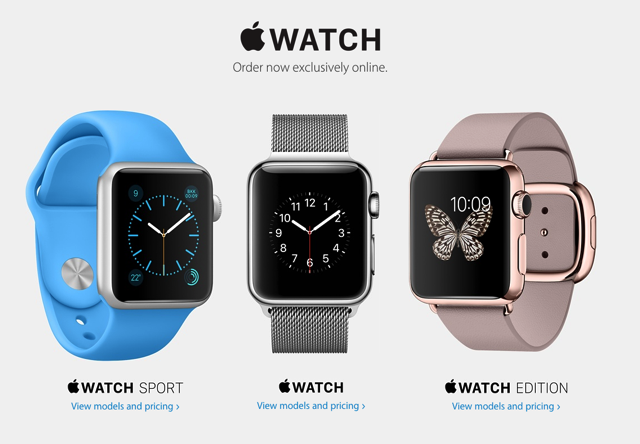 The sources estimate Apple will ship 2 million watches monthly in the current quarter. 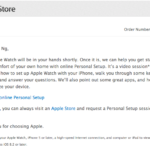 Since Apple usually works with multiple suppliers, the rumour mill is spilling various estimates of Watch orders. For example, one such supplier received orders to equip 15.65 million watches in the first eight months of the year. It is worth nothing here that Apple has no plans to reveal Apple Watch sales numbers anytime soon. As a result, we can only rely on estimates and sources from the supply chain, although some analysts have gone as far as predicting 40 million Apple Watch sales for 2015. What’s interesting, though, is that even with the “official Apple Watch launch date” every model is backordered: The earliest shipping is a vague June. So if you want to purchase a Watch, you’d better head toward the limited number of boutiques that offer walk-in purchases.